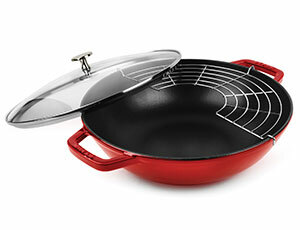 The Staub Cast Iron Perfect Pan is designed for braising meats, poultry and vegetables or soups, stews and chili. Remove the lid for sauteing, baking casseroles, stir-frying and deep-frying. 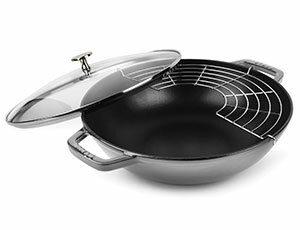 Includes a half-moon stainless steel rack. 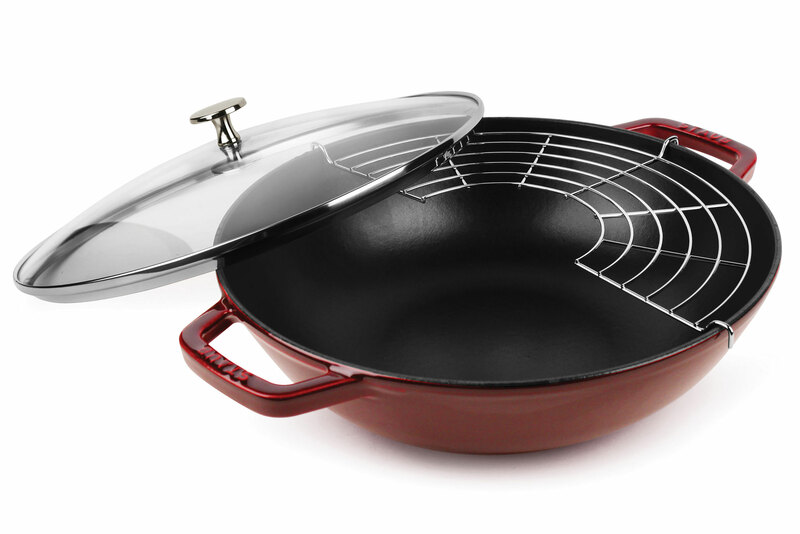 Staub cast iron cookware retains heat and distributes it evenly, making food more consistent in texture and taste. 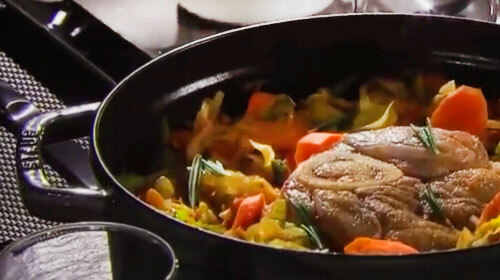 In addition to having these technical merits, it's attractive appearance make it possible for the dish to go straight from the stove to the table. During manufacturing, a sand mold is made for each cast iron piece and then it's destroyed-making each piece unique unto itself. Perfect for use on all heat sources, including induction.